You will Watch One Piece Episode 486 English Dubbed online for free episodes with HQ / high quality. Stream anime One Piece Season 14 Episode 28 The Show Begins! Blackbeard’s Plot is Revealed! News of Whitebeards’s death spreads across the world, and many people are excited to hear of the demise of one of the world’s most powerful pirates. The Whitebeard Pirates attempt to flee, but Akainu, having survived Whitebeard’s assault, emerges in front of Jimbei. 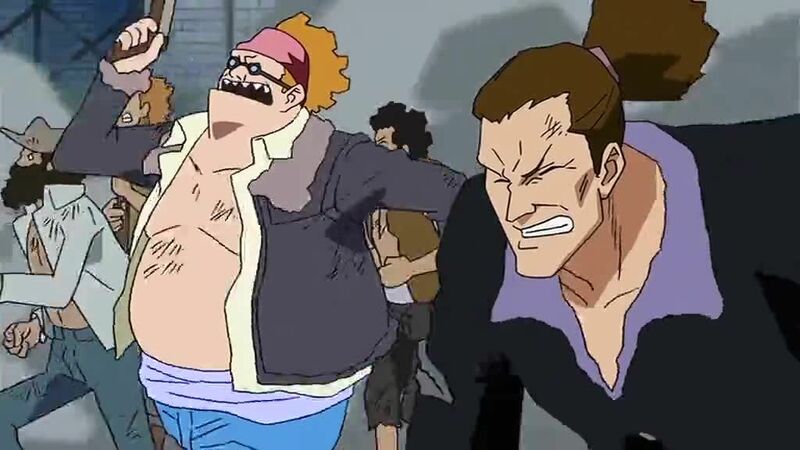 Jimbei, having grown to like Luffy, refuses to hand him over, and Iva, Inazuma and a few of the Whitebeard Pirates arrive to assist him as Hancock holds off the Pacifistas. Meanwhile, Blackbeard throws a cloth over himself and Whitebeard’s body, and emerges with the ability to use his and Whitebeard’s Devil Fruit powers. As those assembled watch in horror, he declares that his era has begun.